The Observatory of Magna Charta Universitatum is interested in helping the Belarusian universities to reach the autonomy and enhance their quality of education. 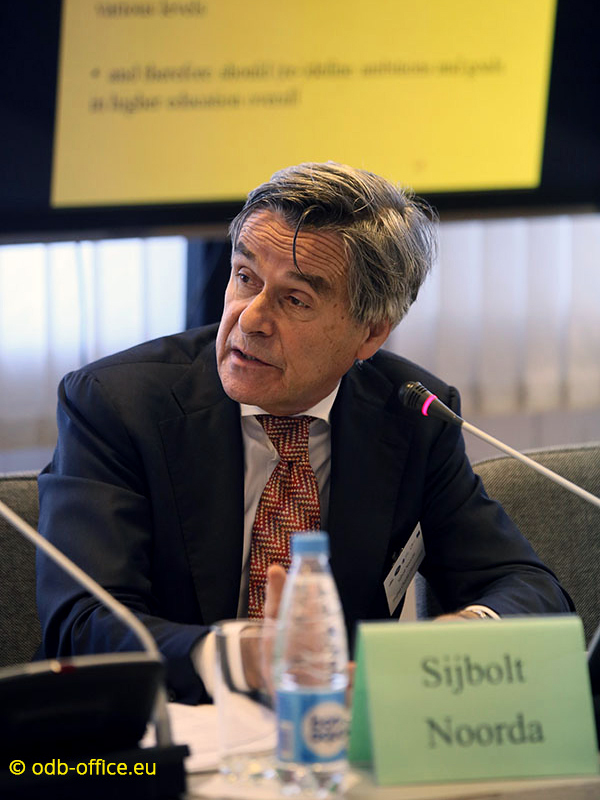 Sijbolt Noorda, the President of the Board at the Observatory speaks of the steps that could be of use for Belarusian universities on their way to achieve the goals of the Belarus Roadmap for Higher Education Reform in his interview to ODB Brussels. ODB: Dr. Noorda, since the higher education system in Belarus is rooted in the old Soviet system, should we try and change our mindset because of joining the Bologna area? And is this situation unique? S.N. : It’s not unique at all. I think the most important thing is that the universities or at least a group of universities set priority and identify three issues that they want to work on in the next couple of years. So, one thing that would be very important is to have a good system of quality assurance. The European framework of quality assurance of higher education requires student-centred learning. Quality feed-back at place at the programme level, as well as at the faculty level is essential. And it would be very important to work with your peer-partners in that. The second thing that would also matter a lot is to make sure that students’ involvement at every level – at the programme level, at the school level, at the university level - is really implied in the decision-making process of the university – so they have seats at the table, of course not a majority of them, but a part, the most active and successful ones. To have openness to your students there will be very important. And thirdly, it is really important to have universities connecting their profile to the social progress, the social and economic development of the country. I always find it very difficult to be specific about the role of the university, as long as I do not know what is the job market like, what are important roads towards the future for this region, for this country. Because university is a service institute, it is serving these developments. So a solid analysis of where the country wants to go, which niche in the global economy to develop, is essential. The questions that should be asked are ‘What are the priorities for the future? What type of students and graduates we want? What schools are really needed for them?' It is like you have to innovate a new sort of programmatic contract between universities and the society. Of course the relationship between politics and universities is a matter of lawmaking and politics. But for universities to be valuable drivers of societal development it must be content driven, programmatic. In many countries today we see a tension between supply and demand: too many students in some fields and very few students in others, resulting in unemployment and stagnation. In most cases this is caused by a lack of future oriented studies and too little economic and social dynamics creating new jobs and innovative business and services. So, serious and independent quality assurance, involvement of students in education and organization at the university at each level, and a solid, future-oriented social contract between universities and society. That would be my choice in terms of priorities, looking at Belarus from outside. ODB: Could the fact that a university ranks high in the international rating be considered more important than preserving fundamental academic values? S.N. : Fundamental values are crucial. Without autonomy and academic freedom universities will not be able to be the creative force that modern societies need. So values are not only a matter of fairness, they are also central to the heart of the academy. By the way, speaking about universities, I think it’s very important that in a higher education system in a country like Belarus you have diversity. Different types of schools, producing different types of experts, of graduates of different professions in different levels, and usually in this part of Europe, it’s too many traditional university degrees and too few professional degrees. So you need more professional schools at various levels, in the interest of business, schools, government. S.N. 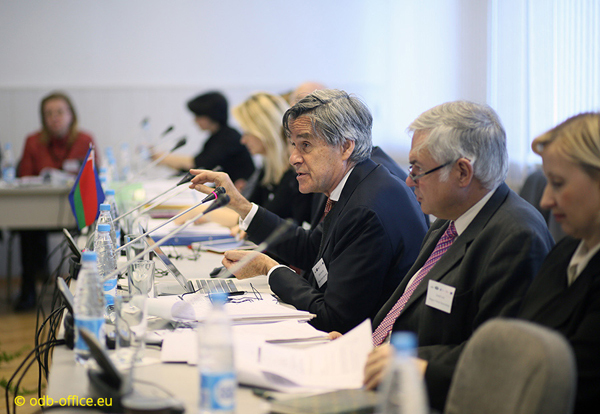 : In Armenia everyone was very pleased that Belarus now joined the European Higher Education Area. But on the other hand there was a discussion on how far the system was already changing. And quite a few countries said well the country still had to demonstrate that it would be able to change. So that’s why they talked about this road-map, and agreed that in 2018 at the next ministerial meeting in Paris the changes that have taken place in Belarus will be discussed. So the road-map is a serious thing, and 2018 is very near. The Bologna Follow-up group is starting to have its meetings already in 2016. S.N. : Yes, and it is really time to start to change. Of course it is impossible to change a system at every aspect in 2-3 years’ time. You should set priorities and I suggested mine but maybe here if you are at university you make other priorities. That would be my advice – make priorities and work hard on them in 2016 and 2017 then you really have something to show. ODB: How to encourage the Belarusian universities to go for change? S.N. : It is a matter of preparing for the future. How to successfully contribute to the development of society. Look at the successful countries in Asia. Higher Education has been a core driver of positive developments. That’s why it is not only a matter of law making, but of study programs, research projects and community building. This involves a true change inside universities, involving university leadership as well as professors and students. ODB: What is the difference between signing the Magna Charta Universitatum and joining the Bologna process? S.N. : They are different things. The Bologna ministerial conference and the Bologna Process is a matter of states. So you have 40 + European states that are all parts of European HE area, EU-countries and non-EU. It’s from Iceland to Kazakhstan. And it’s from Finland to Portugal. And this process is being prepared by the Bologna Follow-Up Group which includes representatives of ministries, of European students association, of the European universities association, of the European quality assurance organizations et cetera. That’s the Bologna Process. And that started with the Sorbonne declaration and the Bologna declaration on 25 May 1998. Our initiative is a movement of universities themselves. It also started in Bologna at about the same time. In 1988, rectors of European universities wrote a statement about key university values and ideals. And hundreds of them signed it, and since then every year a group of universities worldwide join us. The number is over 800 now. And we have changed into a worldwide community. We are going to have meetings in Asia, in Latin America and Africa to work for university values on all continents. We are concentrating on values: on autonomy, on freedom, on integrity, on honesty and fight against corruption and favoritism. And in doing so we are independent from any government. Values are not a luxury article, a nice add-on. They are crucial for academic work in research and in education. If universities cannot be trusted to be open and fair institutions, they cannot be trusted to be good schools and reliable research institutes. All universities signing the Magna Charta Universitatum are committing themselves to promoting and sustaining these values. In the end it is practicing values that is decisive. That’s why we call upon our signatories to uphold academic freedom and integrity in practice and make universities truly open communities where there is ample room for debate. This is what we also expect of our Belarusian colleagues who have recently joined our community. How Can Belarusian Universities Achieve Academic Freedom and Institutional Autonomy?